If you're looking for the ultimate truck gun package, you've found it... This firearm is technically a pistol with a brace on it, so it's perfectly legal to carry across statelines without ATF approval (unlike a SBR). It's setup for personal defense but could easily reach out several hundred meters with the right shooter. The LAW Tactical Folding stock allows it to fold nicely into the Blackhawk Diversion Tennis Bag, making it far less inticing for someone to break out your windows and try to steal it in the event that they were to notice it under your back seat. It deploys quickly and shoots extremely well. Zeroed at 50/200 meter right now with the reticle set to the EOTech style, which can easily be changed to the AimPoint style within the HoloSun optic. The optic has a solar panel and a 5 year battery life. The solar panel allows it to run even without a battery in it! The InForce WMLX (Gen 2) light will easily illuminate up to several hundred yards even on the darkest nights. More importantly, it has the proper lumens and throw to be able to push the light through the smoke and carbon during sustained night-fire. I am willing to sell the above listed items for a total of $1,250 and will include shipping for free from my FFL to yours. I would also be willing to trade for an upgraded Sig Sauer MPX (with collapsible stock) plus cash (depending on upgrades). This particular X95 has been configured for with multiple upgrades. I am willing to sell the above listed items for a total of $2,500 and will include shipping for free from my FFL to yours. I would also be willing to trade for an upgraded Sig Sauer MPX (with collapsible stock) plus cash (depending on upgrades). This rig has been used in ONE course. The only reason I'm selling it is because my wife bought me an identical rig in Gray and I don't need two of them! This rig is 100% setup ready for use. Read the reviews below the list of included items! I'll just review the whole rig. Considering I bought all of the Spiritus. I love the simplicity and ease of the system. Great rig and amazingly versatile. I wanted a chestrig that I could reconfigure depending on what I'm doing and what I want to carry. The short answer is this does exactly what I wanted it to, and I'm very impressed. I bought the Micro fight with the straps and a few of the inserts. 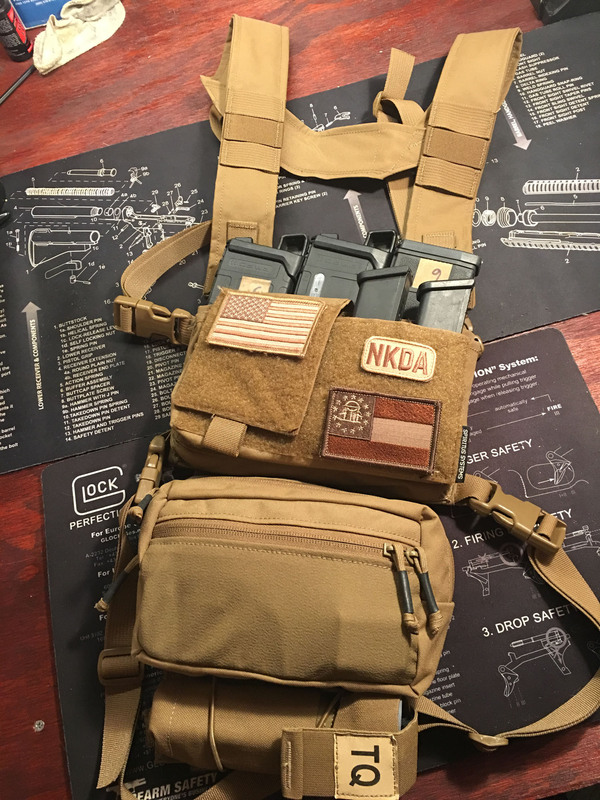 This chest rig allows me to carry 3 AR mags, 2 Glock mags, and still has room for my Glock 19, or my rangefinder, or whatever else I decide to carry. I like that I can easily switch things around and carry everything I need for my coyote hunts in a quiet and convenient way too, even though the rig wasn't necessarily designed for that. But that's why I love this rig so much. It allows me control to add or take away from my loadout, and reconfigure it as I please. I was a little uncertain of how well the mags would be retained, but after I've used it, I am not worried about mags accidentally coming loose. My initial impressions of the quality are good. It seems durable and it's very lightweight. As for comfort, carrying weight around is never comfortable, but I don't see any way this rig can be improved in that area. It's as comfortable as I can imagine a chest rig can be. 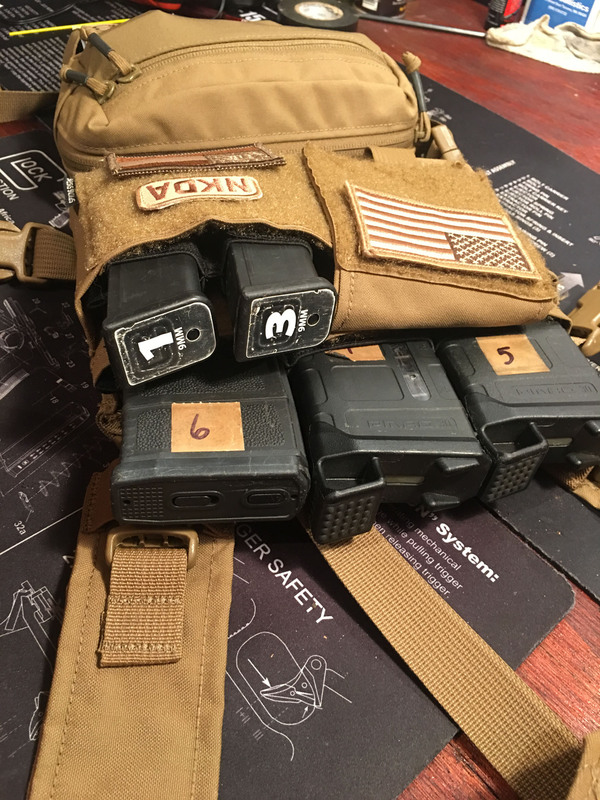 I'd recommend this product to anyone who wants the flexibility to configure their loadout in an assortment of diffferent ways, or anyone looking for a simple and effective way to carry your gear. Also worth noting, my experience with their customer service has been very good. my questions were answered very promptly through direct message on Instagram, and my order was processed and shipped within an hour or two of when I submitted payment.